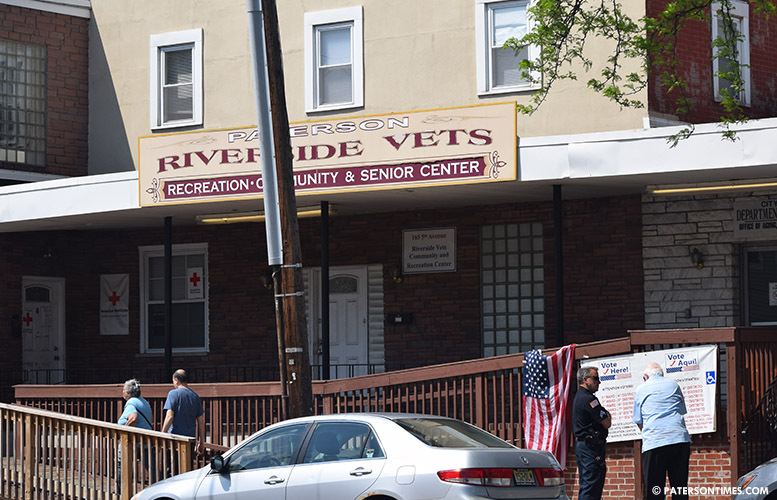 Councilman Alex Mendez had a strong showing at the Riverside Vets early Tuesday afternoon. Of the two-dozen people interviewed, majority of them said they voted for Mendez. Mary Bryant said she voted for Mendez because her granddaughter worked with him. “It needs to be cleaned up,” she said of the city. Bryant said she hopes Mendez will clean up the dirty streets. “Try to lower crime,” said Edison Dominguez, 38. Of the 22 people interviewed. 11 voted for Mendez. 6 for Andre Sayegh. 3 for Pedro Rodriguez. And 2 for William McKoy. “I’m going to give Alex a chance,” said Ramon Herrera, 23, of Mendez. Maria Gallegos was torn between Mendez and Rodriguez. She decided to vote for the latter. “He doesn’t pay his own bills. How’s he going to care for the city?” said Gallegos of Mendez. Mendez has problems with his personal, business, and campaign finances. Some of the Mendez supporters upset a man by approaching him with palm pieces as he exited his car and began walking towards the polling site. The man, who would not give his name, said he disliked the “poll hawkers.” One of those poll hawker was businessman Quilvio Montesino. Montesino said Mendez is going to win the election. “If you get this, you get it,” said Montesino referring to the Riverside Vets. The polling place serves five voting districts, more than any other polling site. A poll worker said the turn out at the Riverside Vets is much higher this year than four years ago.